Turntable DJs, live bands, dance instructors, and more. 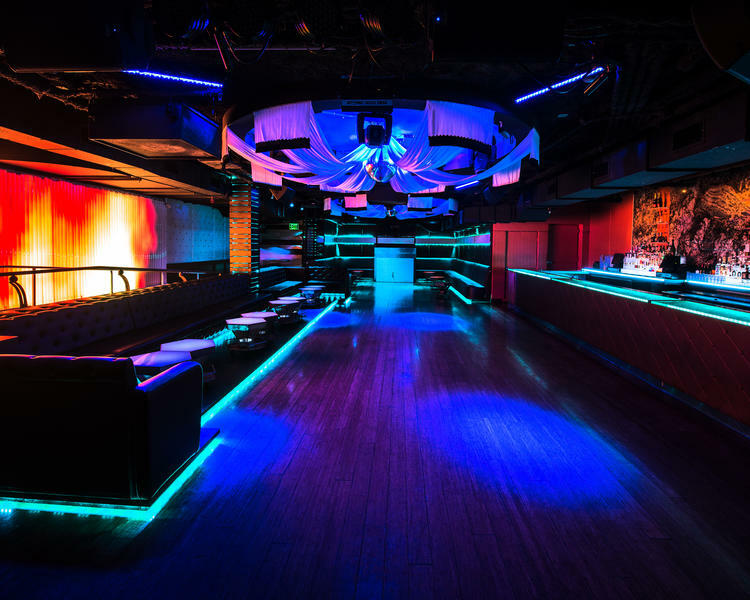 The nightclub space offers an intimate ambiance including a roomy dance floor, plush lounge area, impressive sound/lighting system, and bottle service. March 24, 2009 @ 10:39 a.m.
My wife and I love Sevilla! We love to sit in the tapas bar, have Tortilla Espanola and drink either their red & white Sangrias. The happy hour portions and prices are perfect and although our 1-year old doesn't allow us to stay out as late as we used to, we make it a point to travel to Sevilla as often as we can. Dec. 13, 2013 @ 8:57 a.m. I love this place as well. I really enjoy the seafood crepe and the lamb brochette. The meat is seasoned well and very tender. I also enjoy the pomergranite Mojito, it's one of the best I've had. Make a reservation if you want to avoid a wait for a table.